María Magdalena Campos-Pons’ commission is a site-specific installation project entitled 53+1=54+1=55/ Letter of the Year. Conceived in collaboration with musician and composer Neil Leonard, this multimedia installation consists of massive birdcage structures that present a parallel to the grid of architecture and sound, old and new, and are always in motion—typical of Cuban cities but also cities around the world. 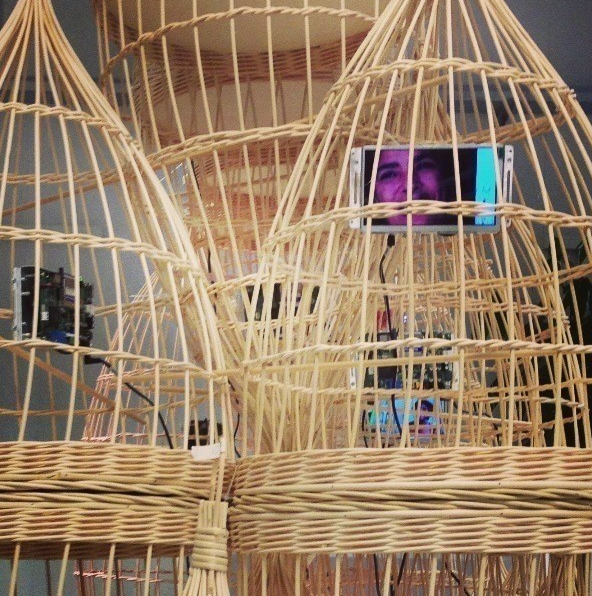 Used as metaphorical vessels to capture dreams, the birdcages contain accumulations of data and fragmented video narratives played on numerous monitors, creating the mixture of sounds and images of urban Cuba. For 53+1=54+1=55. Letter of the Year, Leonard utilizes the sound of Cuban street criers to create a sonic map constructed of voices from the island. This antiphonal map is suggestive of innovations carried out in Basilica San Marco, directly across from the Cuban pavilion, where 16th century composers began using site-specific placement of instruments and voice in their musical scores for the first time in Europe. Leonard investigates how in both present day Havana and 16th century Venice, antiphony emerged as a keynote sound that was intertwined with artistic and social transformation. 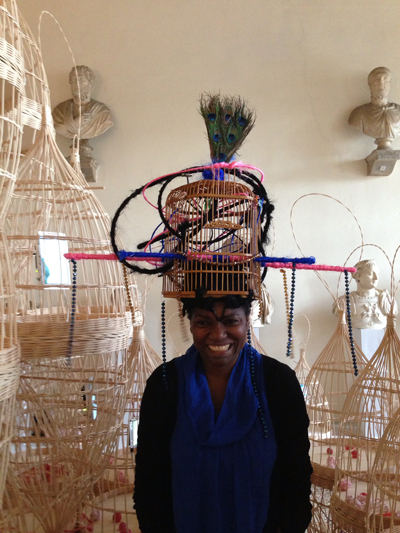 Images: María Magdalena Campos-Pons and Neil Leonard, 53+1=54+1=55. Letter of the Year, ©Campos-Pons and Leonard.